The largest tank in the German Army’s pre–World War II arsenal was the PzKpfw IV. Developed in response to a 1934 request from the Weapons Department of the German Army for a medium infantry support tank, its hull was formed of welded plates with a bolted superstructure on top holding the turret ring. The turret was also welded and large enough to accommodate three crew members and permit mounting of larger guns. Krupp-Gruson began production of the PzKpfw IV in October 1937 and by August 1939 had produced 211 in models Ausf. 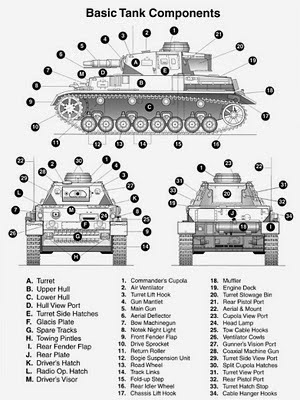 A through C. The PzKpfw IV was the backbone of Germany’s new panzer divisions. Weighing some 40,600 pounds in its Ausf. A version, it had a 250-hp engine, a speed of 24 mph, a crew of five men, and maximum 15mm armor protection. Subsequent models had a larger 300-hp engine and steadily thicker armor protection (up to 80mm). The PzKpfw IV mounted a short-barreled low-velocity 75mm (2.95-inch) cannon designed for close support, as well as two machine guns. 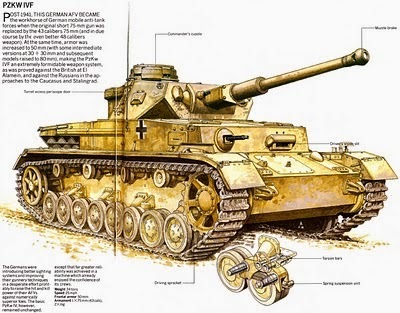 Among the chief advantages of the PzKpfw IV was its 16-wheel suspension system, sprung by elliptic springs, which proved particularly reliable. 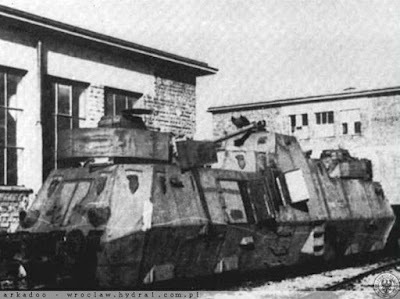 The PzKpfw IV offered nothing revolutionary or of special advantage. Its relatively thin armor offered little protection for the crew, and the gun was not especially powerful. Yet this tank more than held its own against all comers through 1941 because it had the right combination of speed, armor, and armament and because its crews understood how to exploit these to the best advantage. Summary: Produced in response to a 1934 call for a medium infantry support tank, the PzKpfw IV formed the backbone of the German panzer divisions in the Soviet Union and was produced throughout the war. First produced by Krupp-Gruson, it appeared in 10 different models, Ausf. A-J. 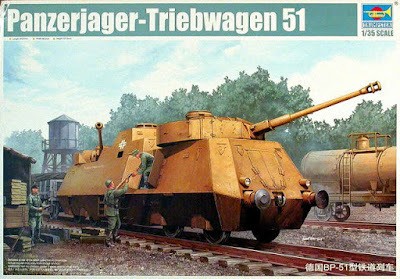 During World War 2, the German war machine relied on railways to provide forces at the front with weapons and supplies. These rail lines of communication were especially critical on the Russian Front where roads were few and far between. While these rail lines provided the Germans with the ability to move men and materiel quickly, Russian forces regularly tried to interdict these supply lines by land and by air. These threats to the German lines of communication lead to a number of unique solutions to protect the trains. Against air threats, FlaK guns were mounted to rail cars, then these led up to armored emplacements atop rail cars to increase survivability for the gun crews. Threats from Soviet ground forces ranged from infantry to armored assaults. To defend against the latter threat, the Gernans employed surplus tank turrets on armored rail cars. One of the more lethal combinations was the Triebwagen 51 that was armed with two Panzer IV Ausf.H or Ausf.J turrets atop a sizeable rolling bunker. These Panzer IV turrets were armed with the 75mm KwK 40 L/48 main gun which was effective against most of the armored threats likely to be encountered. New month, a new project ... Today, I started this Panzer , the VK3001 (H) Ausf A. In 1939, two similar tank designs were created, the lighter (32 tons) VK3001(H) and later on heavier (40 tons) VK3601(H). In my new build project, let's see a vehicle that could not be glamorous, but it was extremely useful: the German Recovery Vehicle Bergepanzer IV. Unfortunately, there are (so far ...) no photographs of this vehicle and there are no surviving examples of Bergepanzer IV. Bergepanther mit aufgesetztem Pzkpfw IV (H) turm als Befehlspanzer - case report. I built this tank in december, 2007 and I will show to you guys all the steps of assembly of this unique command vehicle, which fought with the famous Schwere Panzerjäger Abteilung 653, in Ukraine, 1944. The Bergepanther mit PzKpfw IV Ausf. H turm was a field adaptation built in single copy in the Schwere Panzerjäger Abteilung 653. The fourth and, as it proved, the most enduring of the main types of tank with which Germany rearmed and entered the Second World War was the Panzer IV. 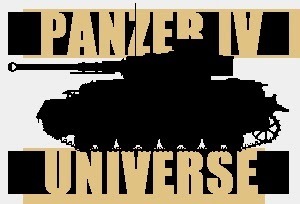 The ordnance inventory designation of Panzerkampfwagen IV (PzKpfw IV) or Panzer IV was Sd.Kfz. 161.